This lightweight yet durable holstering option, custom crafted for TASER Bolt and C2, is the perfect choice for active lifestyles. 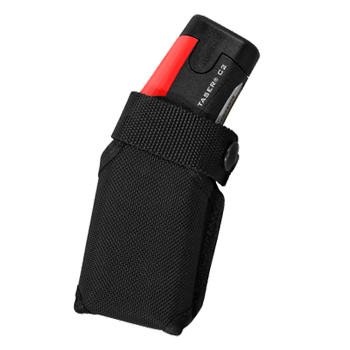 It can be clipped to clothing, a belt, purse strap, backpack, or just about anywhere else. Keep your Bolt secured yet easily accessible with this Tactical Holster. Bolt not included and is displayed for illustrative purpose only.